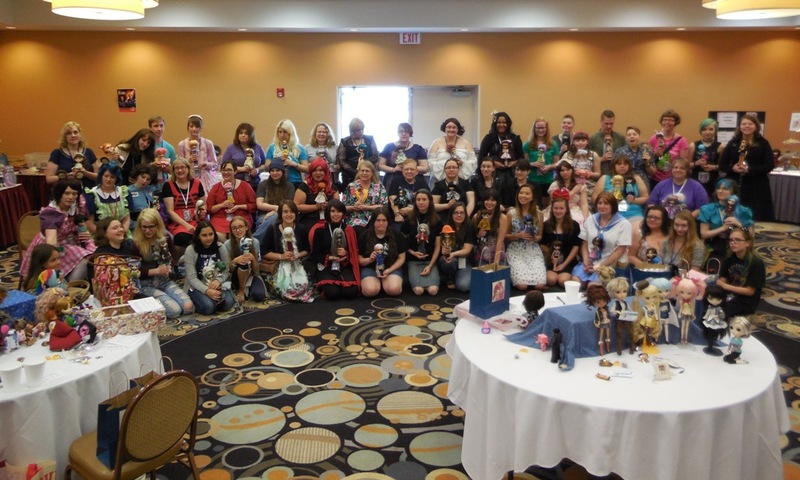 PUDDLE 2016 – PUDDLE Style! 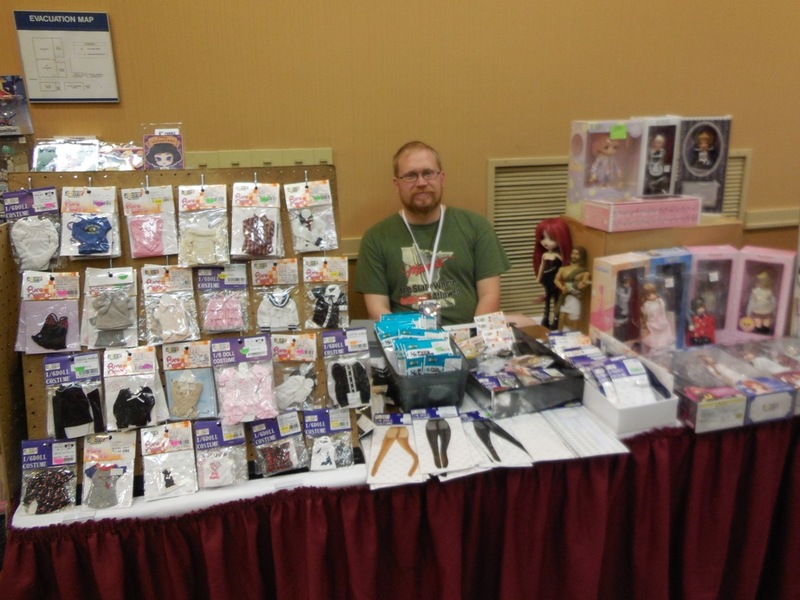 The theme for PUDDLE 2016 was Space. 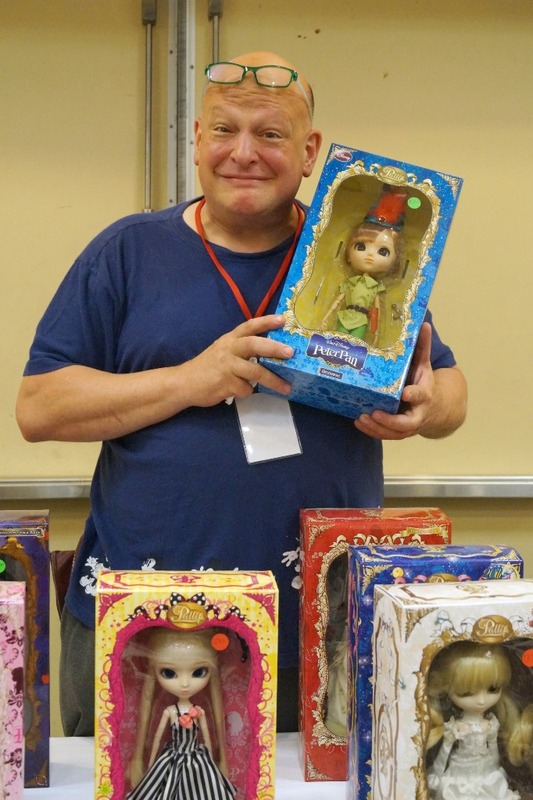 PUDDLE 2016 Was Out of This World! 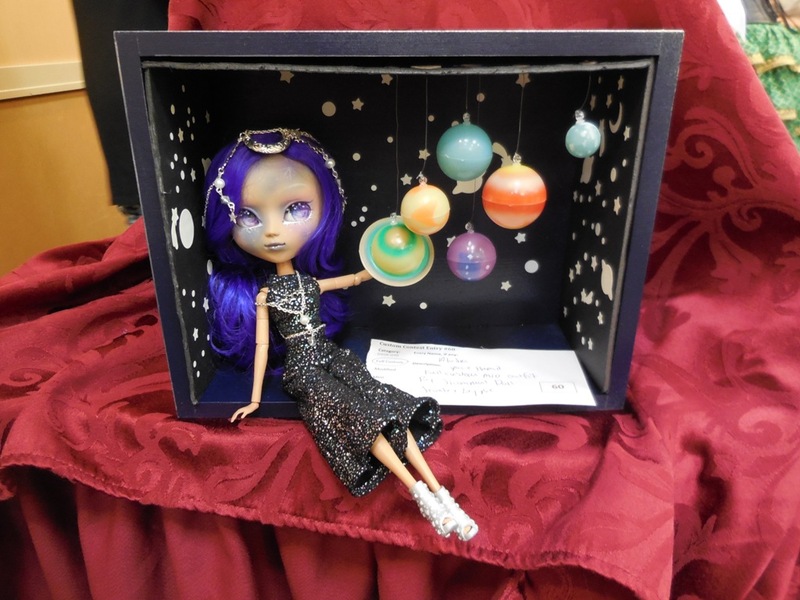 Space was the theme of the ninth Pullip and Dal Doll Lovers Event, which took place in Elk Grove Village, Illinois on June 4. 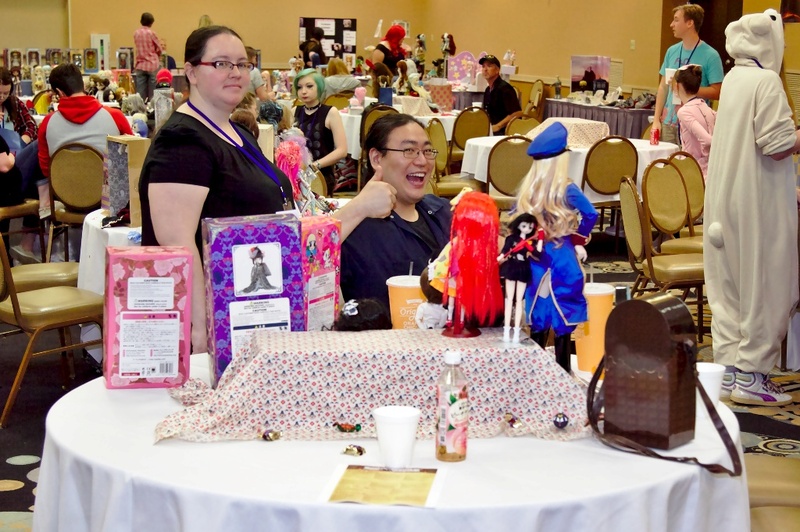 All 120 guest table spots were sold in advance, and attendees agreed it was the best PUDDLE ever. The weekend fun got underway on Friday, with a trip to Mitsuwa Japanese Mall for dinner followed by socializing in the lobby over tea and sweets. 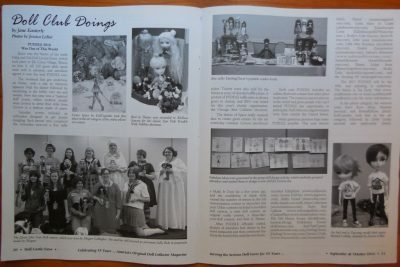 New this year was a “papered doll” event, where creative people were invited to dress their dolls from Groove in a fashion made of paper. 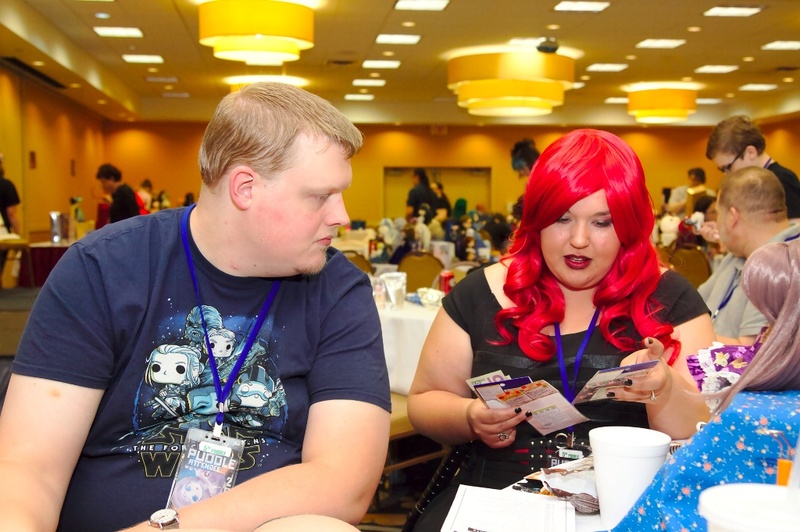 Saturday events included an icebreaker designed to get people mingling. 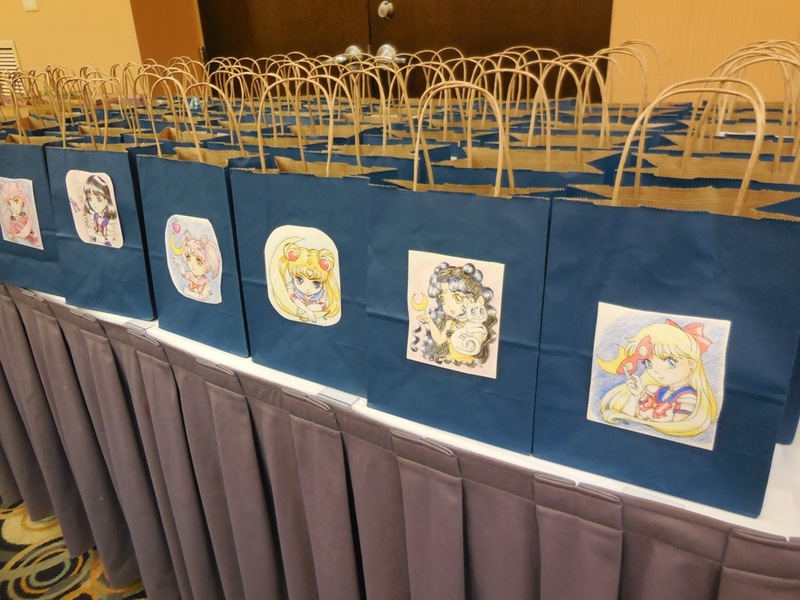 Each person who completed the icebreaker received a free raffle ticket. 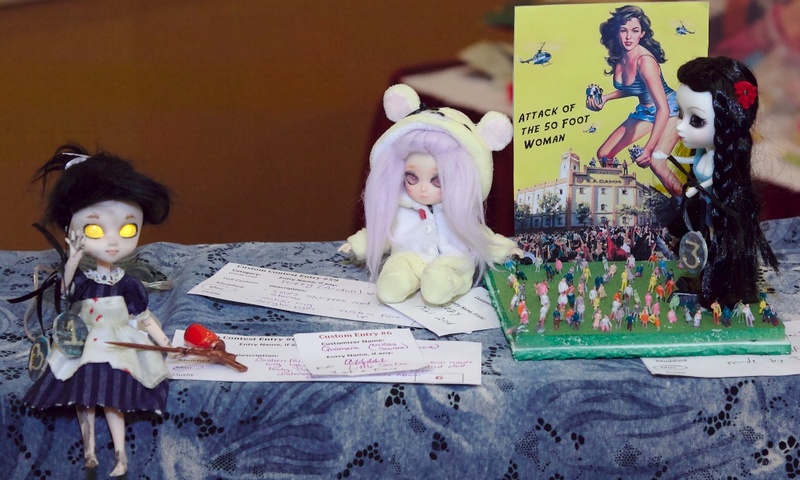 Tickets were also sold for the fabulous array of donated raffle prizes. A portion of PUDDLE raffle sales is always given to charity, and $201 was raised for this year’s charity organization, the Chicago Bird Collision Monitors. 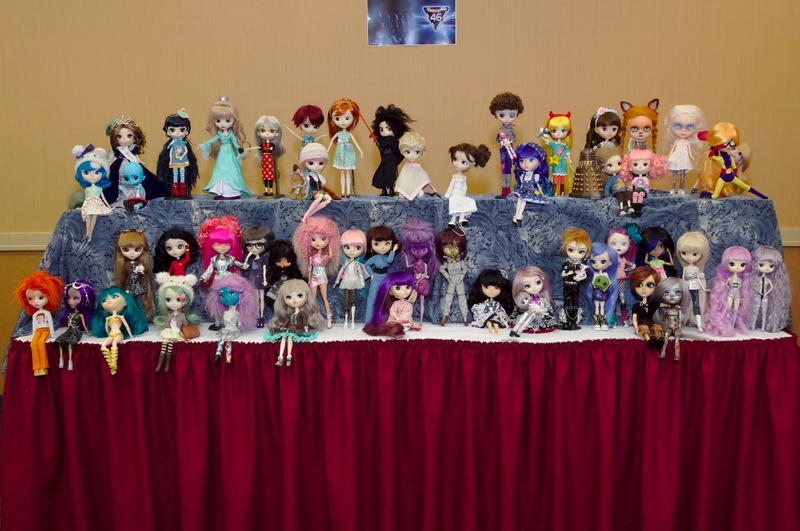 The group photo was a challenge this year, with so many attendees. 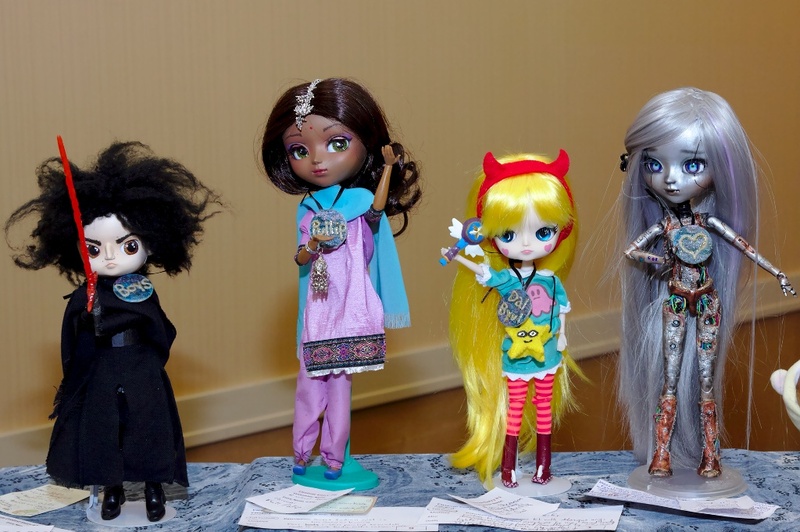 A doll design event randomly grouped attendees and invited them to design a new doll for Groove Inc. After the design event, everyone got to choose a door prize. 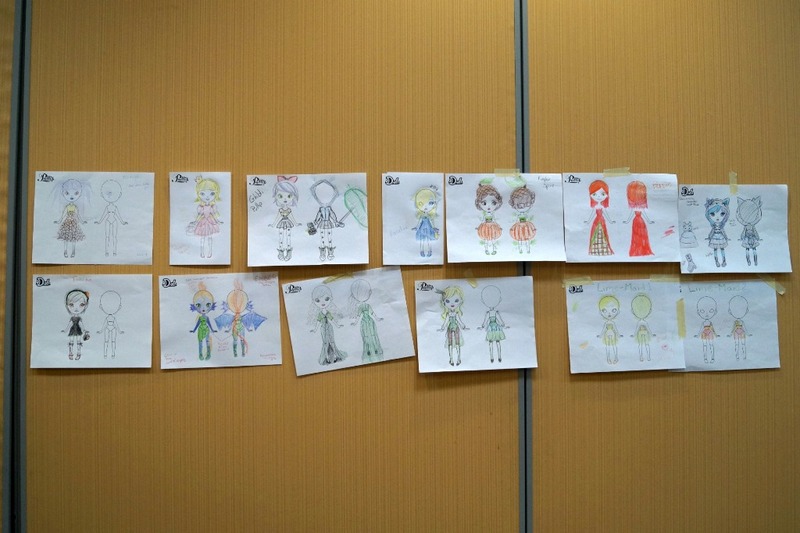 The theme of Space really inspired fans to create great entries for the six event-day contests. The Dress Like Your Doll costume parade and contest was won by Megan Gallagher. 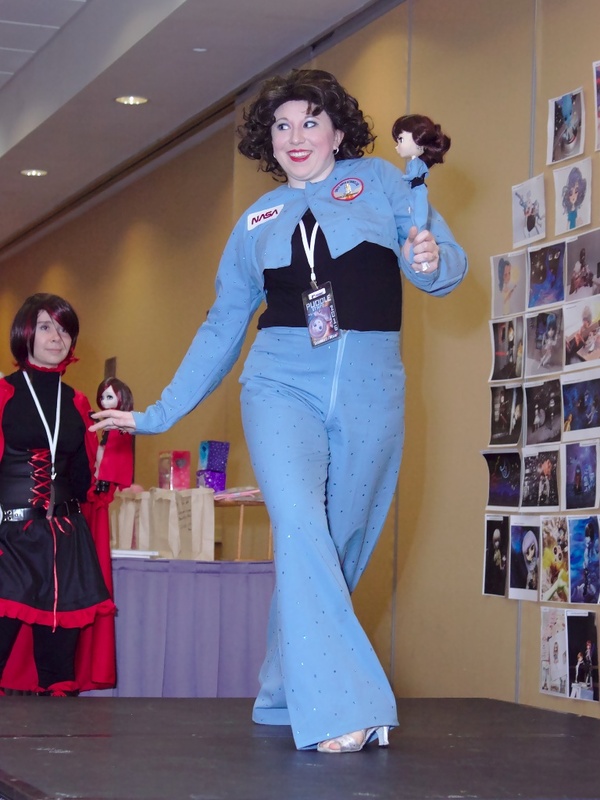 She and her doll dressed as astronaut Sally Ride in jumpsuits that Megan made. 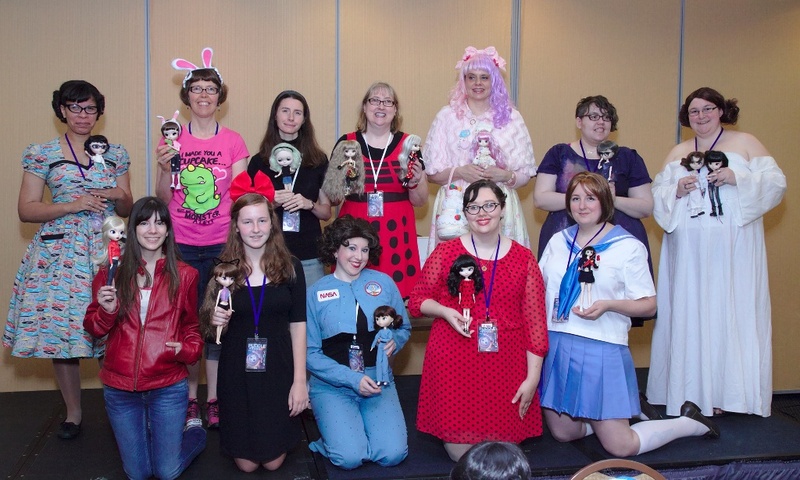 Tammi Johnson and her Pullip Princess Ann won second prize in their vintage fit and flare record print dresses made by Tammi, and Rachael Kuddle won third. 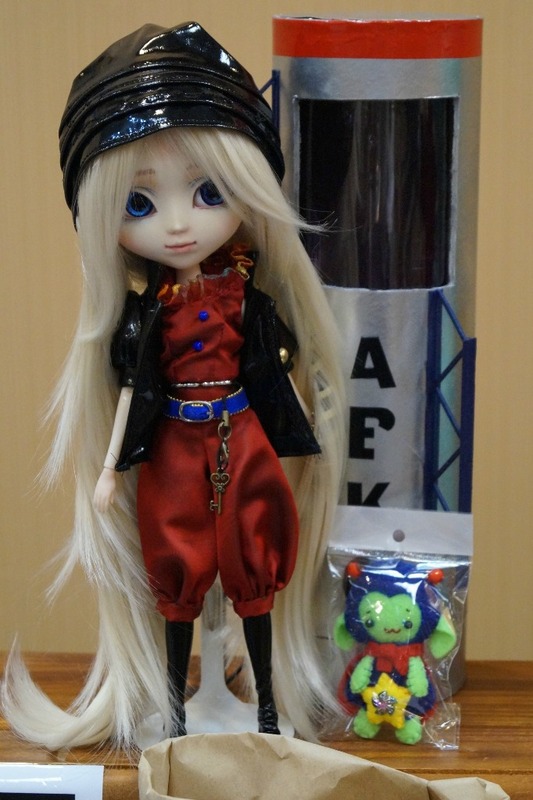 Rachael and her doll were dressed as Mako and Ryuko Matoi from Kill la Kill. 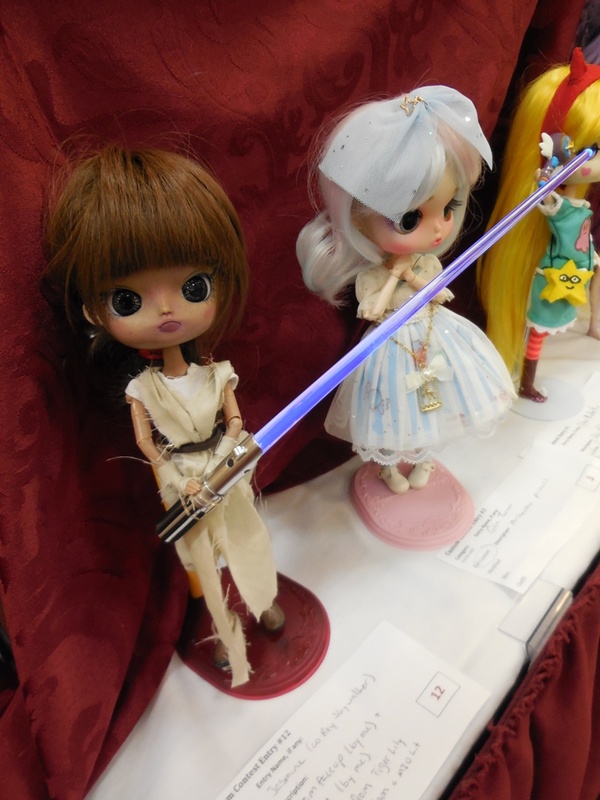 Fan favorite Nicole Feldman and her Pullip were dressed as Ruby Rose from the animated web series RWBY. 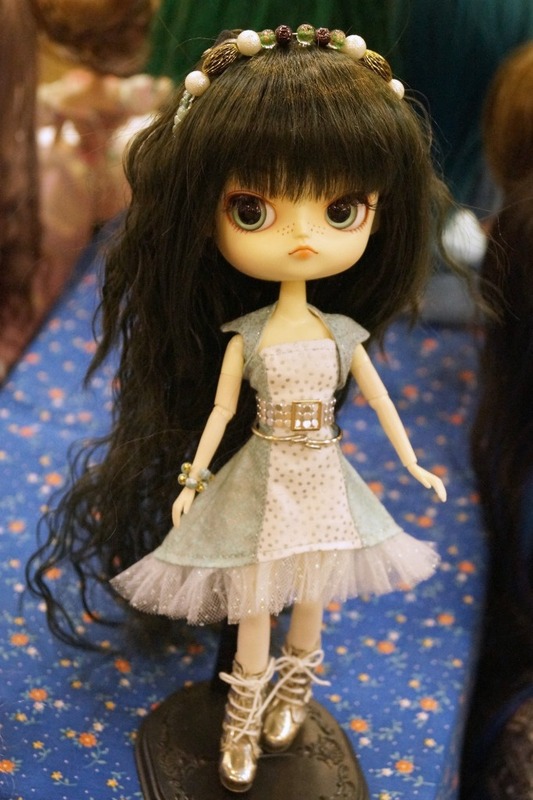 Groove introduced the Make It Own kit a few years ago, and the availability of blank dolls caused the number of entries in the full customization contest to skyrocket this year. 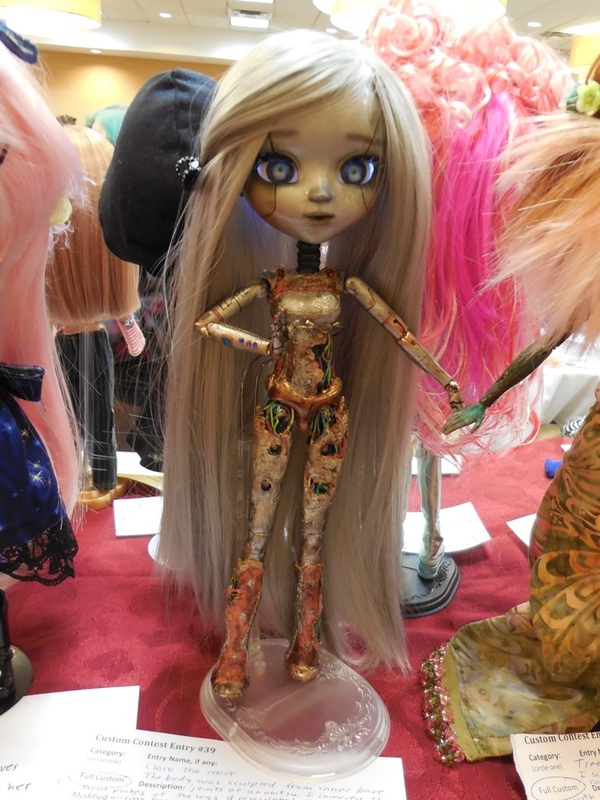 There were many fabulous customs. 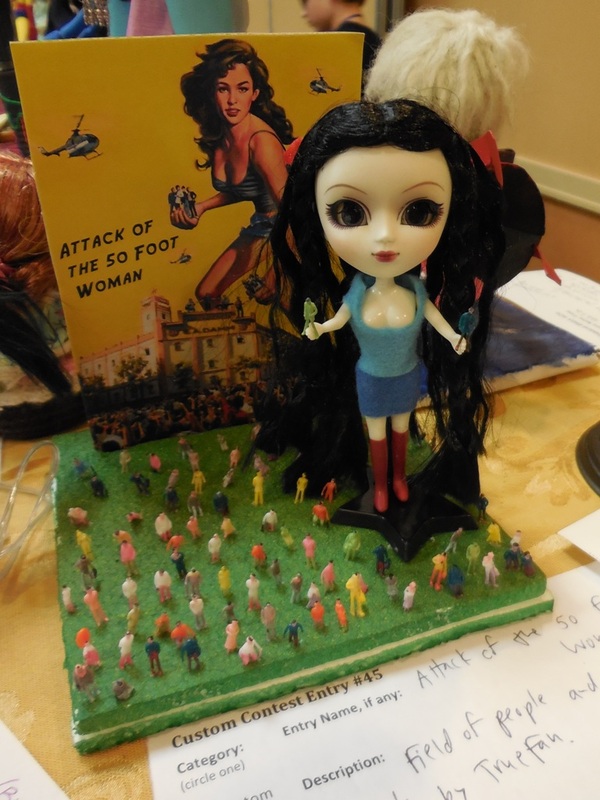 Other contests included a modified doll contest, a mini doll contest, an original outfit contest, and Best in Theme. 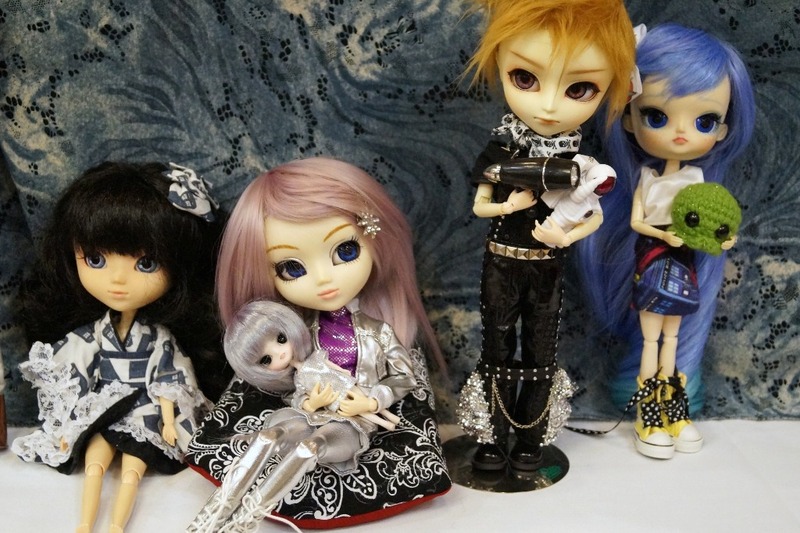 Four winners were chosen in the Full Custom and Modified doll categories. 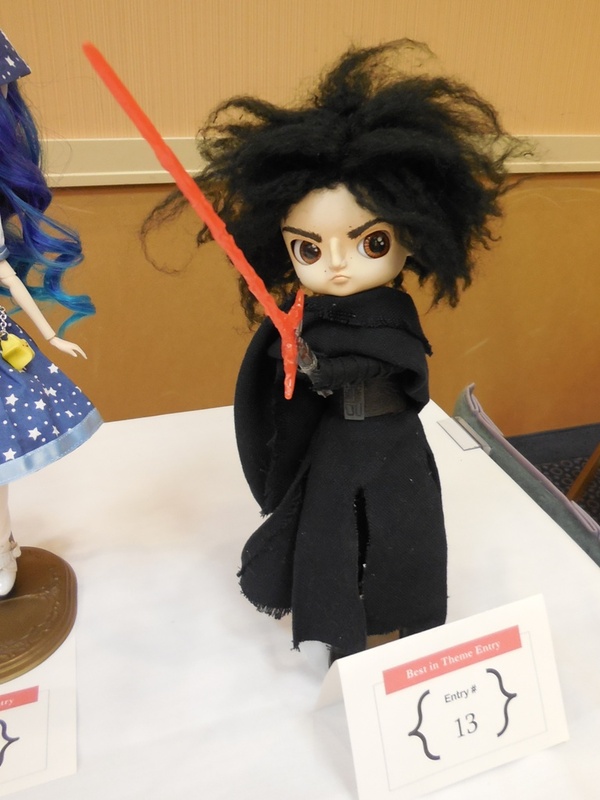 In the Full Custom contest, Rachael Kuddle won best boy doll with Kylo Ren and best Pullip with Parvani, Star Butterfly (from Star vs. the Forces of Evil) by Marci Stevenson won best Dal or Byul, and Nicole Feldman’s Clare the Robot won Fan Favorite. 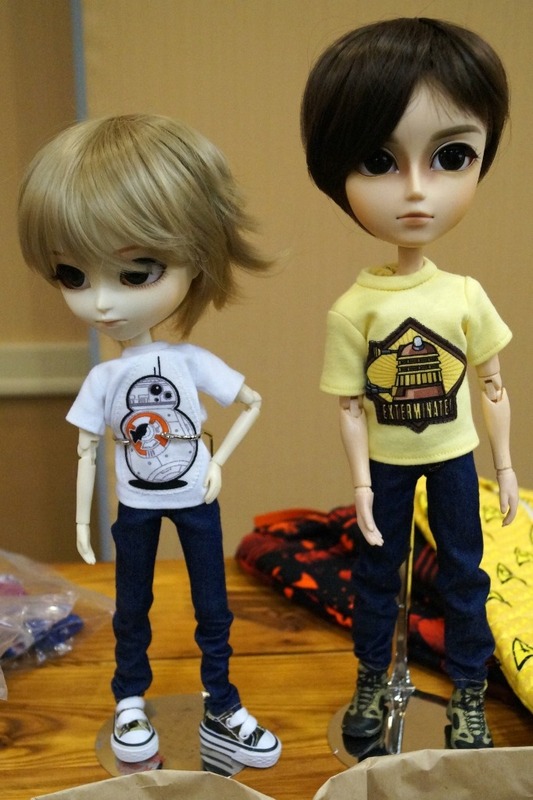 In the Modified contest, Jessica LeBar’s Isul won best boy doll, Elise Jessee won best Pullip, and Jane Easterly’s Dal-ek won best Dal or Byul. 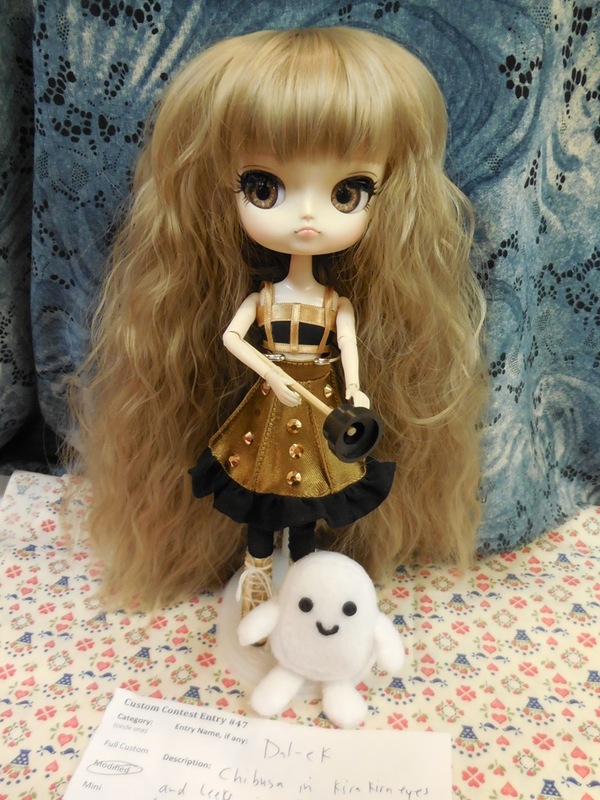 A Pullip Blanche named Maidance won modified Fan Favorite. 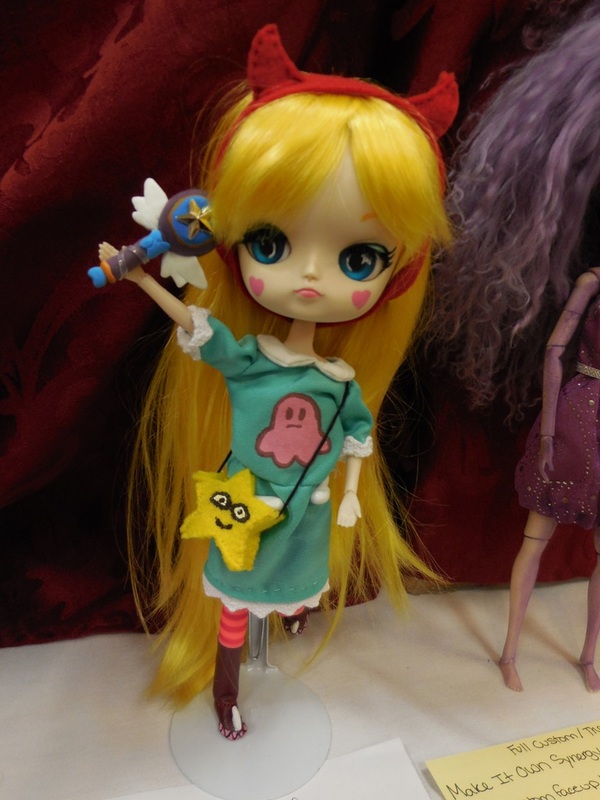 The Original Outfit contest was won by Nicole Feldman. 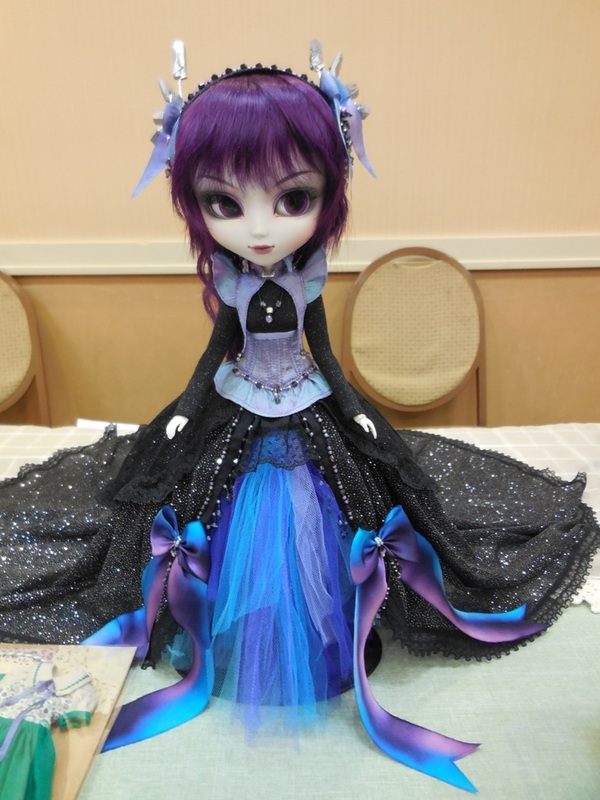 City Lights by Jolisa Atkins took second (and fan favorite), and Mela Rivellini’s Gypsy Alice took third. 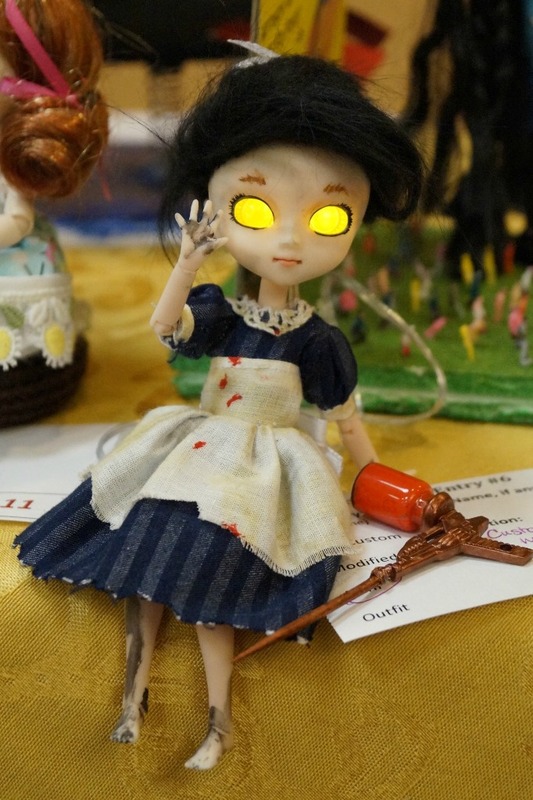 Best Mini Doll was won by Melissa Sowers with her Bioshock Little Sister custom with glowing eyes, with Elise Jessee’s Fuzzy AI doll taking second and Jane Easterly’s Attack of the 50 Foot Woman mini Pullip taking third. 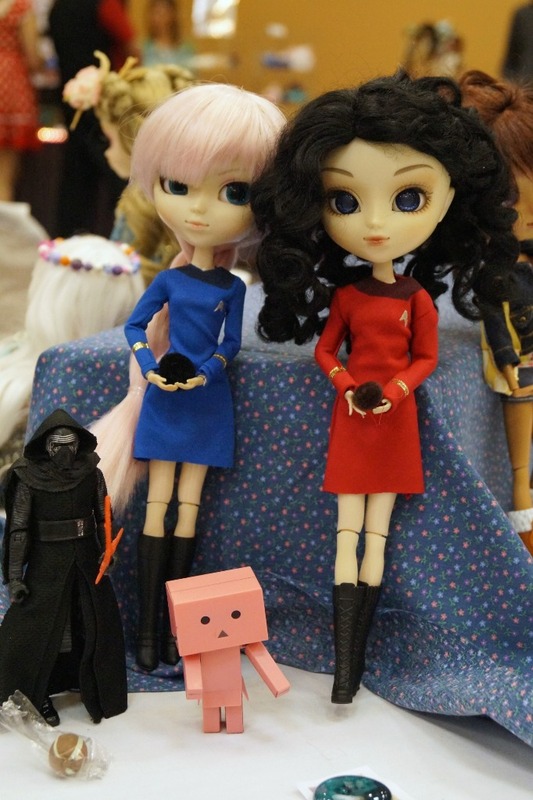 Best in Theme was awarded to Melissa Sowers for her classic Star Trek Trouble With Tribbles diorama, featuring Captain Kirk Taeyang doll buried in tiny tribbles. 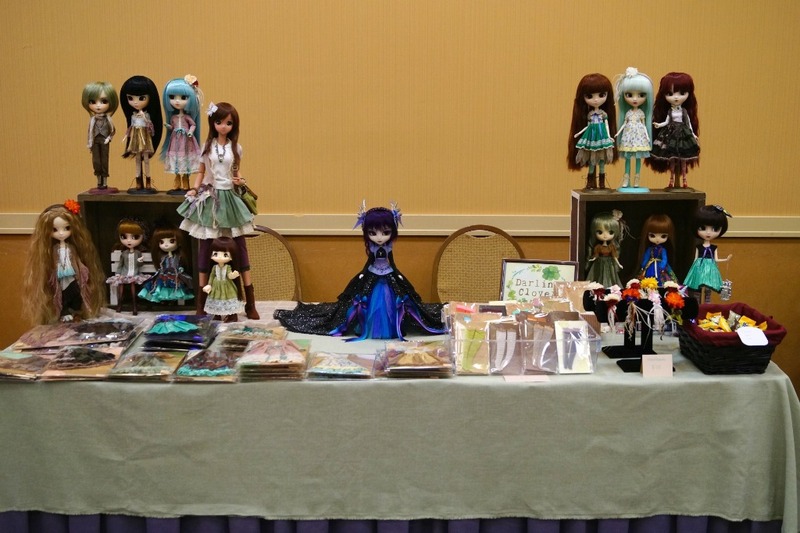 After PUDDLE officially ended, dozens of attendees had dinner in the hotel restaurant and then continued the fun in the hotel lobby until the wee hours. 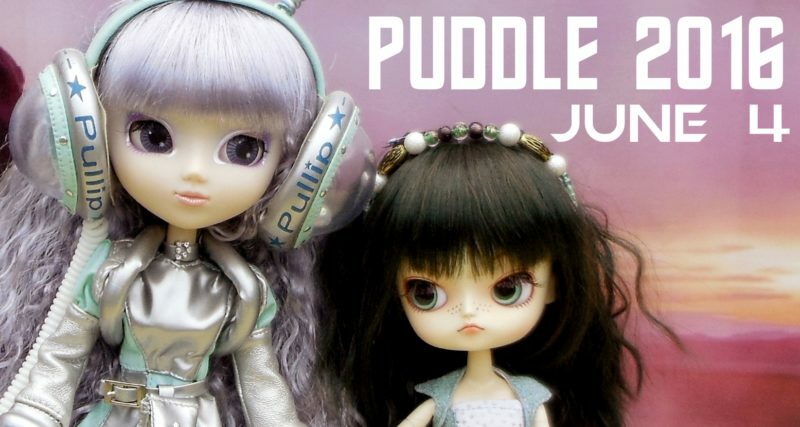 Each year PUDDLE includes an online photo/art contest that takes place in advance. The contest is open to anyone in the world and gives people who can’t attend PUDDLE the opportunity to participate. Half of the six judged winners this year were from outside the United States. 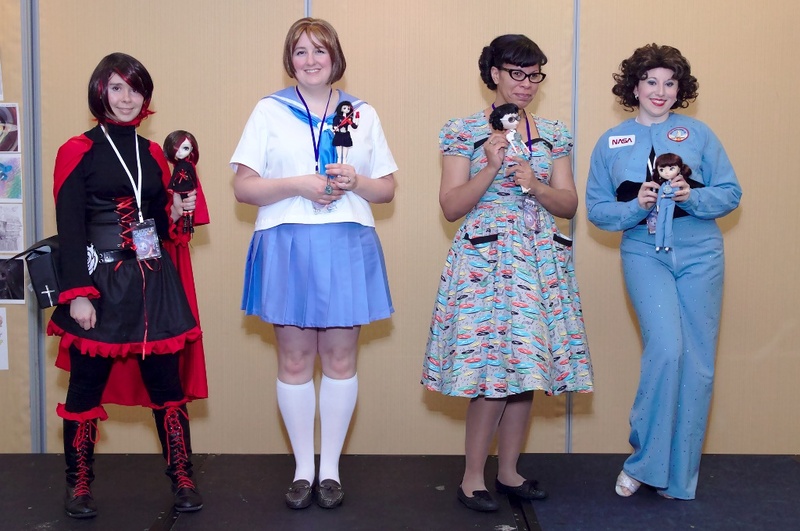 In the photo category, the winners were Kat’s Row (first), Marsian (second), and EternallyRose (third). EvilCupcake took first in the art category, followed by Libby Lietke (second) and applecandy (third). 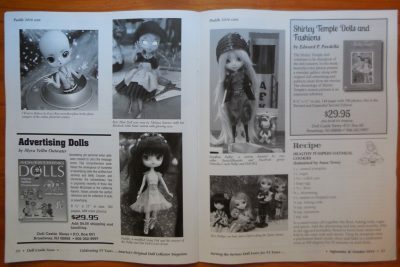 (dncnllama.etsy.com), Quaint Quintessence (quamara.etsy.com), Sakura’s Blossoms (www.sakurasblossoms.com), SetsieSilhouette (SetsieSilhouette.etsy.com), Skinny Scalps Store (SkinnyScalpsStore.etsy.com), Skully Dolls (skullydolls.bigcartel.com), and the Sleeping Elf (sleepingelf.etsy.com).